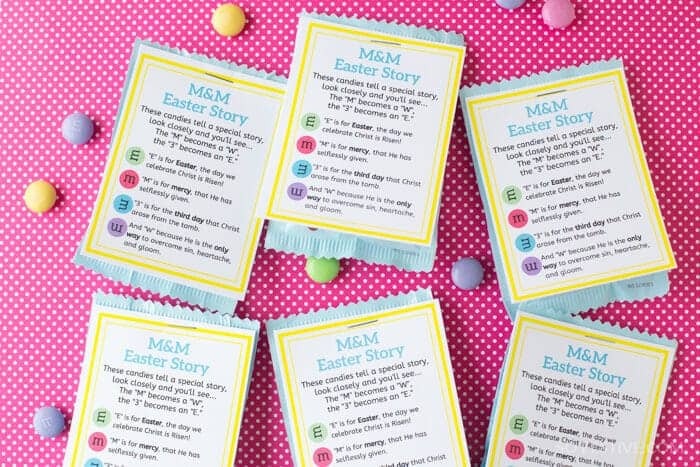 M&M Easter Poem To Teach Kids About Easter- Easter Ideas - So Festive! 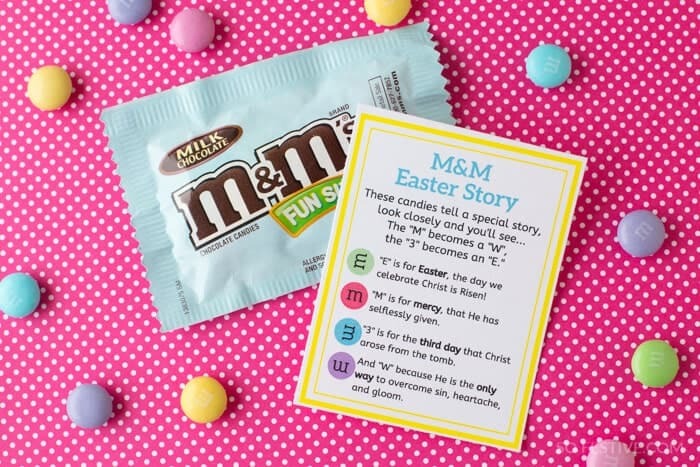 Use this cute M&M Easter Poem to remember Christ’s Atonement & Resurrection. 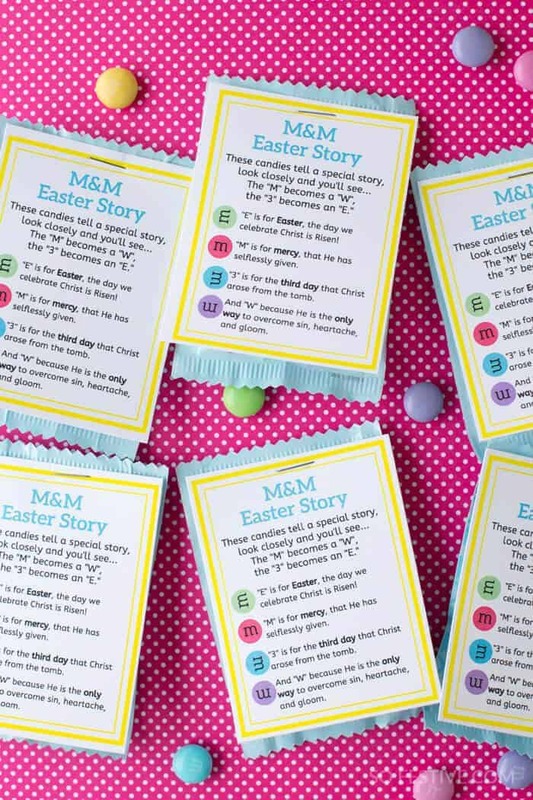 I always love creative ways to help my children learn about the real meaning of Easter. For that reason, we make Resurrection Rolls on Easter Sunday and celebrate Holy Week. 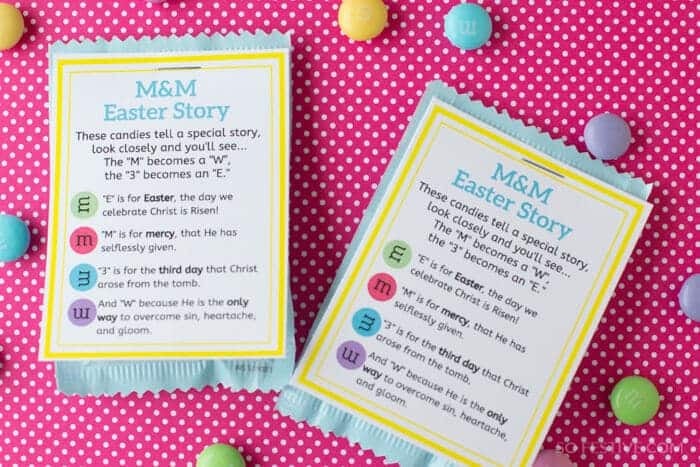 If you’re a fan of M&Ms like we are, then you’ll also love this creative way to remember Christ’s Atonement and Resurrection. You see, each M&M contains a printed “m” on it, but if you turn the “m”, it becomes a “w”, “e”, and “3”. Each new letter stands for part of the Easter story–the “m” for His mercy, “E” for Easter, “3” because he arose on the 3rd day, and “W” since He is the only way to overcome sin and heartache because of His Atonement. “E’ is for Easter, the day we celebrate Christ is risen. “M” is for mercy that He has selflessly given. “3” is for the third day that He arose from the tomb. And “W” because He is the only way to overcome sin, heartache, and gloom. 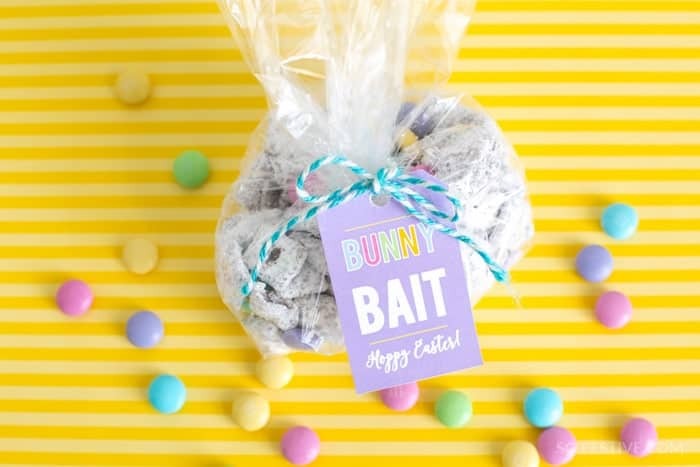 The great thing about this Easter craft is that you can create these fun handouts in about 10 minutes or less. Just print the poems, attach to M&Ms with a stapler and you’re all set! Happy Easter! Pin this for later!